The first pages covers the history of the UK hot water heating system market, followed by next generation of Multi Fuel Thermal Stores and Solar Central Heating/Hot Water Hybrid systems for domestic applications. 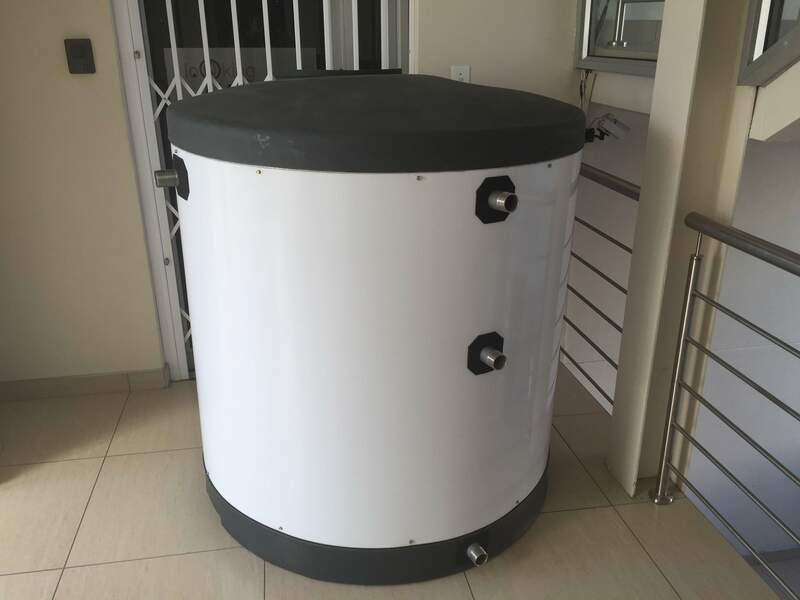 This will be followed by the world's first flat pack thermal stores up to 10,000 litres produced by Sirac in Sth Africa under the brand Thermocube and Thermotube (blown polyethylene tanks up to 1,600 litres) and the world wide potential flat pack hot water tanks provide. 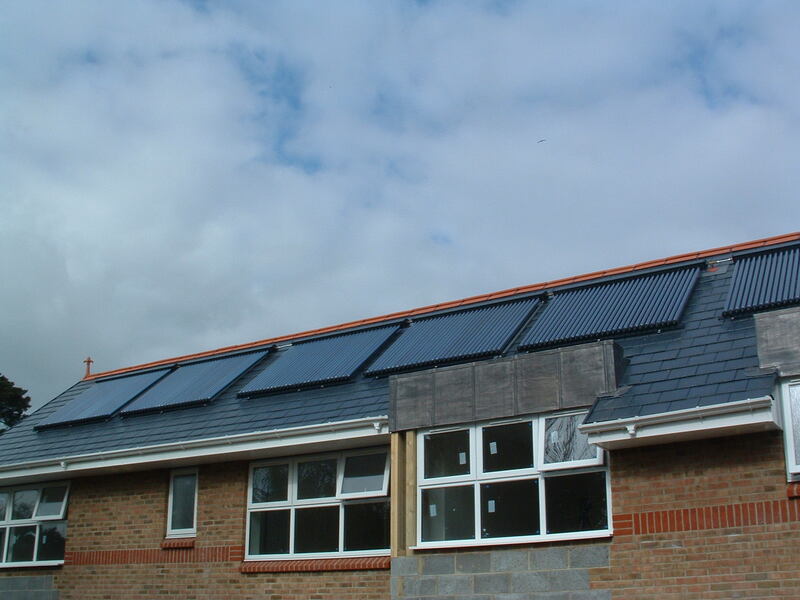 During the period from 2001 to 2009, Powertech Solar Ltd, established on an Industrial estate in Ferndown, Dorset became a pioneer of hybrid integrated solar water heating systems. 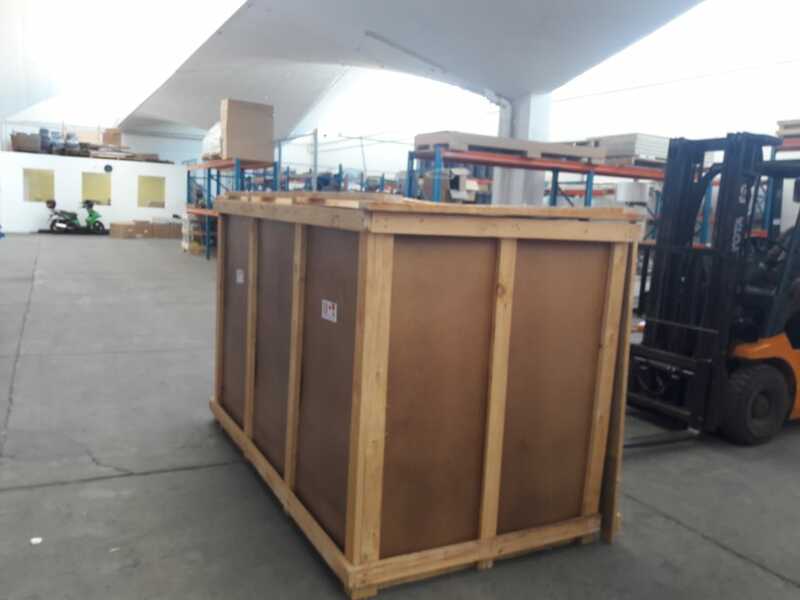 Eric Hawkins, the owner and founder of Powertech Solar, took the decision to partner with an Australian in China, who had contacted Eric via his then web site to see if his expertise gained in Cyprus could be used to develop a new high quality evacuated heat pipe tube collector for export only. The background of this history is covered in others pages without repeating here. The early evacuated tube collectors produced by a Chinese manufacture seeking to expand exports, demonstrated that we had to have our own trained people to follow our western standards of high quality. By 2003, the brand Apricus was established and the first solar Keymark EU tests completed, followed by SRCC, for the USA market which my agreement with the Australian in China gave Powertech to establish exports into the USA, Sth Africa and Europe from our UK warehouse/office. A £100,000 investment from Good Energy Ltd, gave Powertech the money to employ more people and increase imports of containers to service growing demand. At the height of the business in 2008, Powertech Solar was supplying 120 registered installers, with 6 NEW distributors signed up to have a direct import of a container, while Powertech retained back up stock. 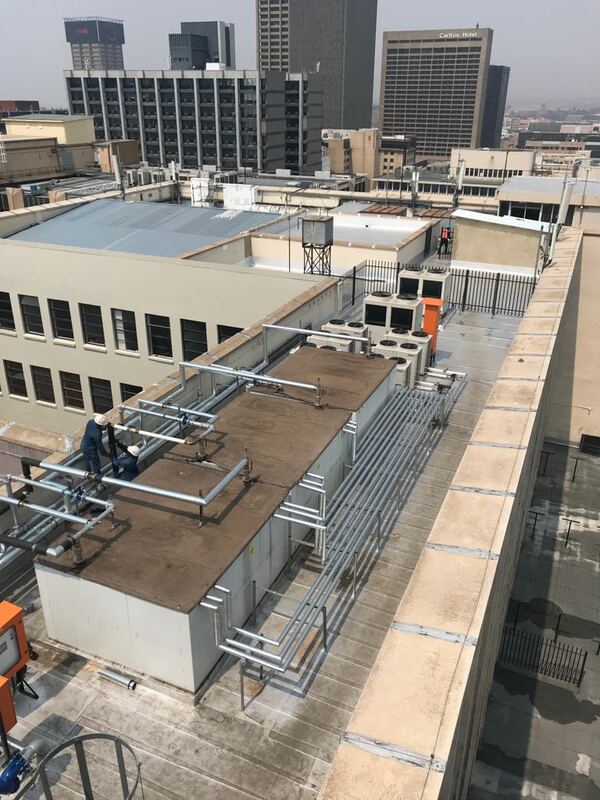 The business provided a wide choice of solar water heating kits, from the conversion of an existing copper cylinder to solar heated water to full container deliveries to hospitals and agriculture. In 2007, Eric departed from working with the Australian and with a lot of experience in manufacturing and exporting, established a new partnership with a NEW evacuated tube manufacture west of Beijing, China. A further $100,000 was invested over the year to own 100% of our own brand, so we could sell worldwide without any restrictions. 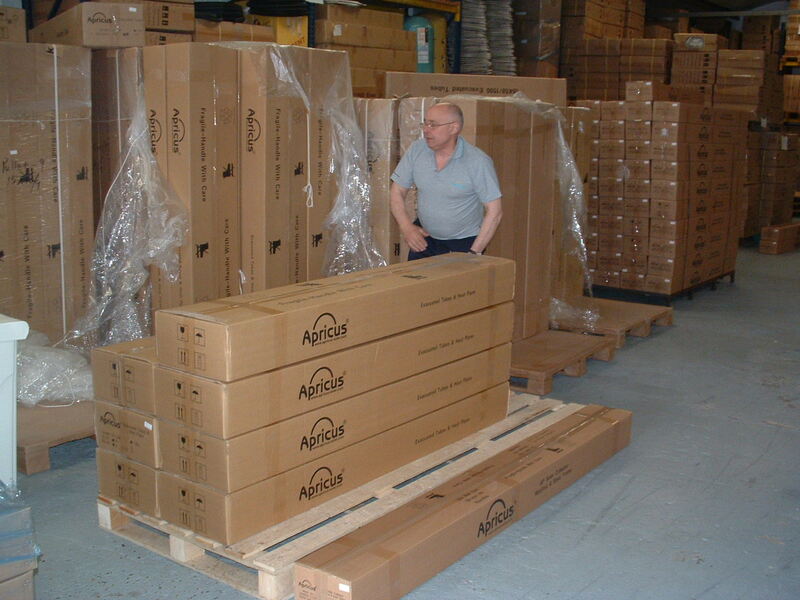 The new brand was called Suntech Solar, with the first exports completed in 2008 to both our UK warehouse and one of my USA importer/distributors after gaining solar key mark and SRCC for USA. Its now been 10 yrs this month April 2019, since Powertech Solar Ltd was placed into administration. It was a sad day for Eric and his loyal team, along with the many trained installers and those who invested in a new business, as a future for this country. The banking crises of 2007/8 followed by the recession, a down turn in the property market, falling sales and proposed policy changes by the department of climate change, is the reason taken to see if the business could be attractive to a new buyer with the money to continue the progress Eric and his team pioneered. Eric is still active in renewables, but with no warehouse, no team, no manufacturing in China, just working from his test house in Dorset which is still generating hot water that supports space heating during the day time throughout the winter, when it’s not raining, or snowing. Feel free to contact Eric Hawkins on eric@solar-speed-flex.com for free help and advice on how to convert or refurbish your existing hot water and heating system to a more efficient system that includes evacuated tube heat pipe collectors. Eric is already in early talks with a company in Devon, who may be interested to re start what Powertech did not finish in 2009. At the peak of sales in 2007/8, we could not move in this 2,500m2 warehouse. 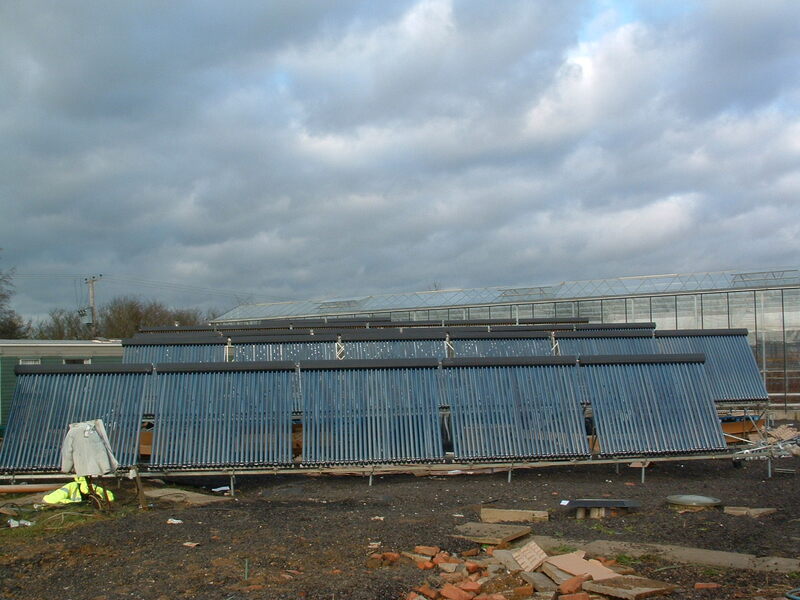 A fully working training and exibition centre was built inside, while on the walls outside were two types of fully working solar collectors and a heat pump. In 2015/16, Eric shared his NEW thermal store designs with the directors of World Heat in Manchester, after securing a manufacture in China. Nathan Gambling was the installer, who provides training to future heating engineers in Cambridge. An Open Vented Thermal Store, is the ONLY type of hot water storage cylinder designed to partner with solar thermal collectors and solar PVT collectors, so the heated water in the store can be used to support home heating during winter months. It was in 1998, after spending 5 years in Cyprus, educating myself about all the failures of solar water heating collectors that I returned to the UK to demonstrate the greater benefits of solar thermal outside of just heating up a tank of water to shower/wash with. It was not until late 1999, after opening the global warming solution centre in West Parley, Dorset, that I was able to secure a deposit-for a mortgage on a new house in Wimborne, Dorset. Its through this house as pictured above, that I began the job of converting a typical open vented central heating and hot water copper cylinder to my Multi Fuel Thermal Store/Heat pipe tube collector system. 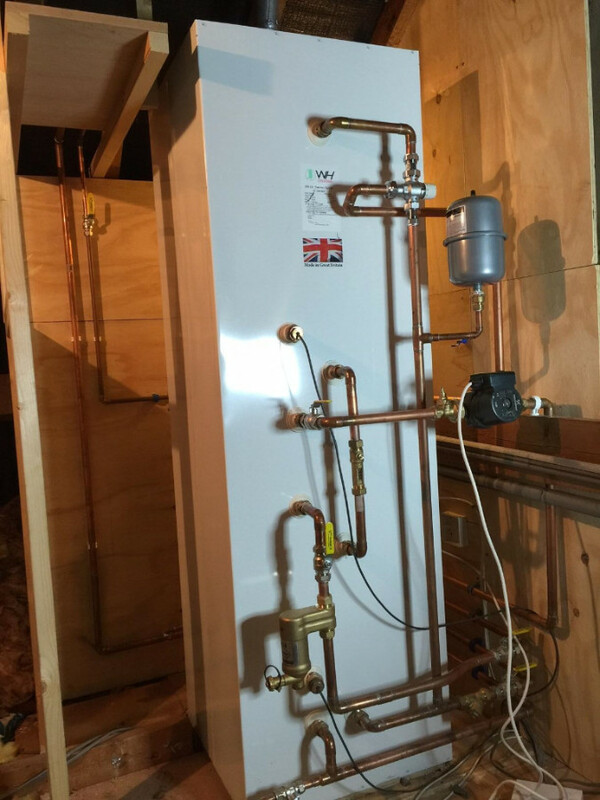 The Gloworm Ultimate wall hung Gas boiler was retained, as the primary heat source to heat the new 250 litter cylinder now located in the loft close to the collectors outside, with the airing cupboard which housed the foam copper cylinder with a clothes dryer. On March the 14th 2018, the gas boiler started to leak from the cast iron heat exchanger, an 18 yr life, with minimum servicing and 30% less use due to the greater use of solar thermal. This is one of 3 video's I have uploaded to YouTube, to explain how my heat pipe evacuated tube collectors heating the water direct into a open vented thermal store (multi fuel hot water tank) can support home heating during peak day time hours at the same time as deliver hot water at mains pressure. 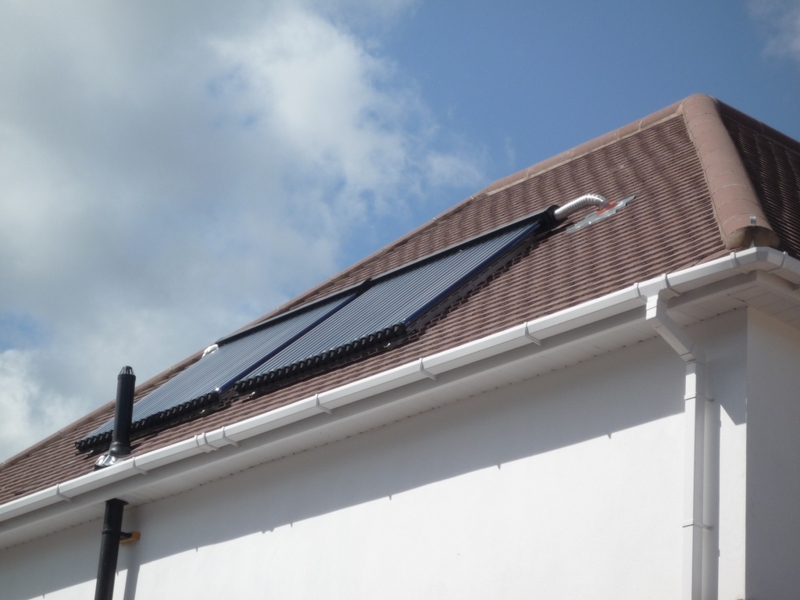 Without an open vented Thermal Store, it’s not possible to use solar heated water to reduce your home heating energy bills at the lowest cost of materials and 80% less servicing costs over the 20-25 yr expected life of the system. Only evacuated tube heat pipe collectors will suite, due to the 30% higher efficiency compared to flat plate. My home thermal store is located in the loft space, has a 250 litre water capacity heated direct by a gas boiler (for limited periods, depending on the weather), the 44 tube solar thermal collector array and my 3rd back up if the boiler fails is a ducted heat pump. The thermal store is a buffer tank with the same water in the collector manifold, as in the gas boiler, heat pump and radiators. This water is none potable, as the potable water is now provided indirect through external heat exchangers or coils inside the thermal store. From late October to the start of May, my gas boiler is programmed (Hot Water) to switch on at 7am and switch off at 8.30am, then switches on again at 4.30, and off at 9pm in order to bring the house temperature to the temperature set in the room thermostat. The lowest input from solar heated water is always December/January, due to the shortest days of the year. Once you are into late February, the day is longer, long sunlight hours and less overcast skies increases the heat going into the home. Most families by 8.30-9am will have gone to work and kids to school, with the house going cold unless you are retired and have the heating on all day. Even today in the UK, 4 million people are seen as in fuel poverty. 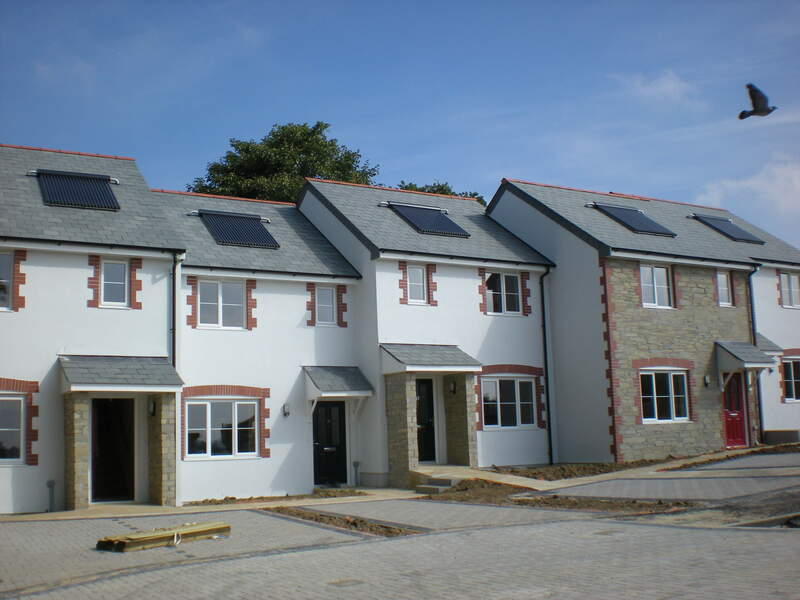 Every new house built, ignores solar thermal. Evacuated tube collectors do not recognize how cold it is outside, unlike flat plate collectors. All the evacuated tubes want to see, is the blue, blue clear skies for the maximum heat output, even if its -20c outside. If you are seeking to refurbish your current hot water and heating system, or you are building your own home, do not waste your time looking for a UK government subsidy through the RHI, as the department overseeing this programme do not reconise any benefits from solar thermal for home heating support. Solar thermal is an off grid technology and cannot be metered for tax purposes Around 60% of all energy use in the UK is for heat and hot water, 27% for electricity, with the balance used in transport. What I have proven since I purchased this new house in 1999, after 5yrs of business and living experience in Cyprus (covering plumbing/solar sales, installations and servicing many failed solar collector/system I was called out to repair, was to put all this knowledge into practice back in the UK. Any country with over 6 months of sunshine and hot weather can easily provide a tank of water heated by solar thermal to provide hot water for washing from as little as £250.00. But to benefit from solar thermal for home and small businesses to reduce space heating costs was the challenge at that time. I am now sharing all my experience and knowledge with anybody who contacts me in the UK or Europe, for a small fee. On December the 13th during PM question time in Westminster, Ms Teresa May pointed out to Mr Corbin, that 216,000 new homes had been built in 2016/17. The picture above demonstrates what is missing on every roof top to help reduce this countries gas/oil imports. Instead, every new house/apartment built is fitted with a gas/oil boiler, a few with heat pumps or an all electric hot water heating system. All the false Chimney stacks of this 180 house/apartment development are made of plastic for looks, while the hundreds of m2 of slated roof, absorbing tax free energy from sunlight with no benefits to the owners who paid upwards of £300, 000 in 2015/16. What is soon to follow on from the success of heat pipe evacuated tube collectors, since the initial introduction of heat pipe collectors in 1994, is a NEW innovation within the heat pipe that stops the overheating of the hot water tank during hot summer months. 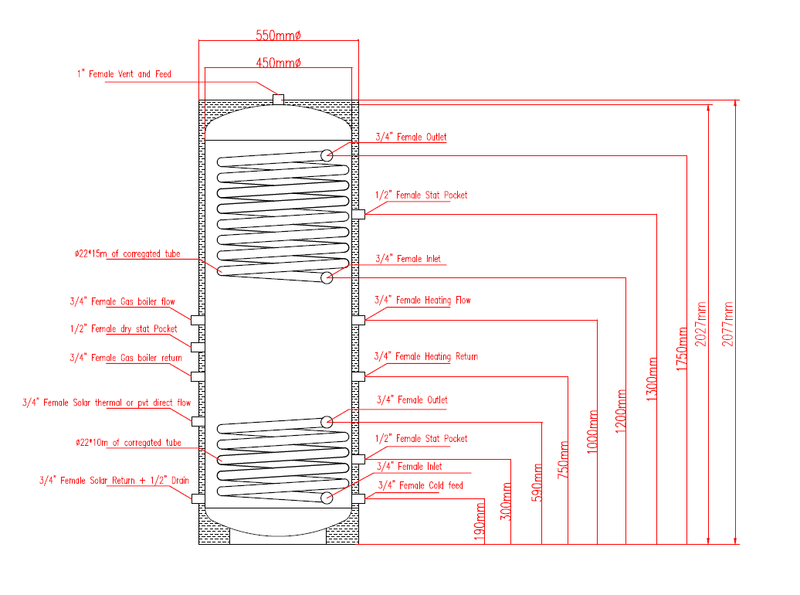 One of the major problems with heat pipe tube collectors, as with all other closed loop pressure water systems, is once the cylinder is up to temperature specified by the hot water cylinder manufacture (of around 65-70c for UNVENTED cylinders) is that the solar pump stops working, thus increasing the hot water and pressure expansion build up within the closed loop system through an expansion vessel and pressure release valves. The NEW heat pipe innovation allows an open vented Thermal Store of say 250 litres to be increased from my current 44 tubes to 60 tubes or higher if you have the roof space. By increasing the collector area, you produce more heated water during the 5-6 months of winter in the UK, to be circulated through steel radiators or underfloor heating from November to the end of May. 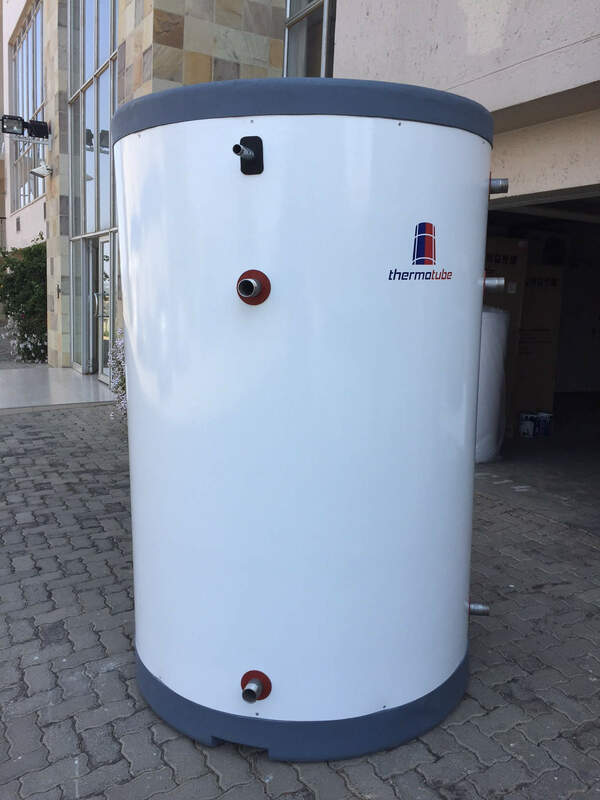 For comercial thermal stores, go to this link <<<http://www.thermocube.biz/>> which is my partners business in Sth Africa, who invested in the materials required to produce the flat pack hot water tank concept, which is road freighted flat pack and assembled on site. In 2017, Sirac introduced the pre assembled Thermotube, in 1,000 to 1,600 litre volumes, which work exactly the same as the flat pack kits, but produced from blown polyethylene. The concept behind the made to measure, made to order hot water tank, started in the USA with one of my importers in Eureka, California in 2006. But after the banking crises in 2008/9, the business was almost destroyed, but the owner managed to keep hold of his store and workshop, where the tanks were made. My re visit to his store in 2013, was to see how together we could re start the solar water heating business. On seeing a tank being assembled from stock material parts, I came up with the idea, "WHY ASSEMBLE THE TANKS IN THIS WORKSHOP, WHEN THE SHIPPING COSTS SENT FLAT PACK WOULD REDUCE THE PRICE TO THE BUYERS"
We spent weeks working on a new spread sheet, changing some USA made materials to made in China materials and working out the material costs per tank size. In 2014, my American partner decided to close down the solar water heating and tank business to focus on solar PV off grid systems. I took it upon myself to market the concept through the German printed Sun and Wind trade magazine (see below) but zero interest. 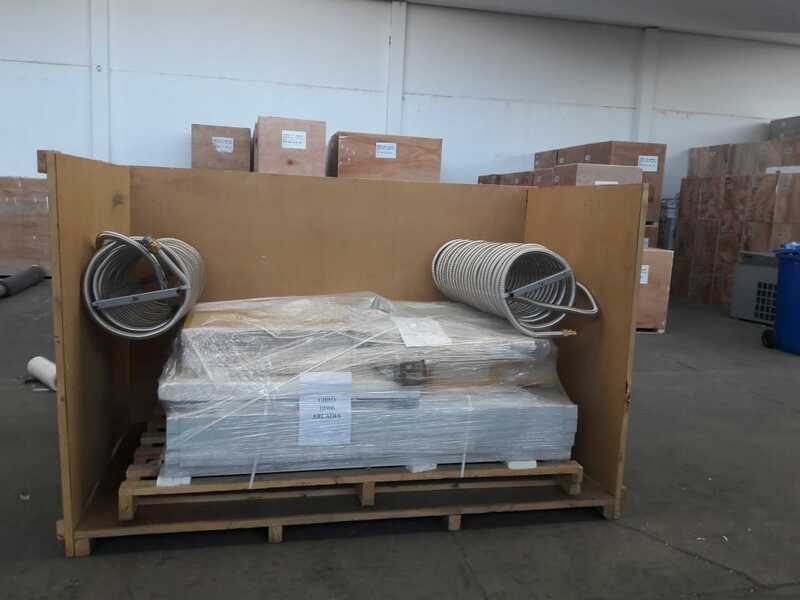 It was by pure accident that the owner of Sirac Sth Africa, responded to one of our e-mails sent out to hundreds of solar related companies promoting our solar speedflex insulated stainless steel coils of pipe. The common ground we had together at that time, was I was also importing Sirac heat pumps from China pre 2009, which he only took on after 2010, but commercial heat pumps. After an exchange of e-mails and then arranging to meet in China, the owner explained to me about his problems with local made hot water tanks, which I had also experienced having imported some Fiberglas tanks from Sth Africa back in 2004. It was then I shared all the information about the flat pack tanks, we had developed in the USA, which would need some investment before it was possible to sell this type of tank. 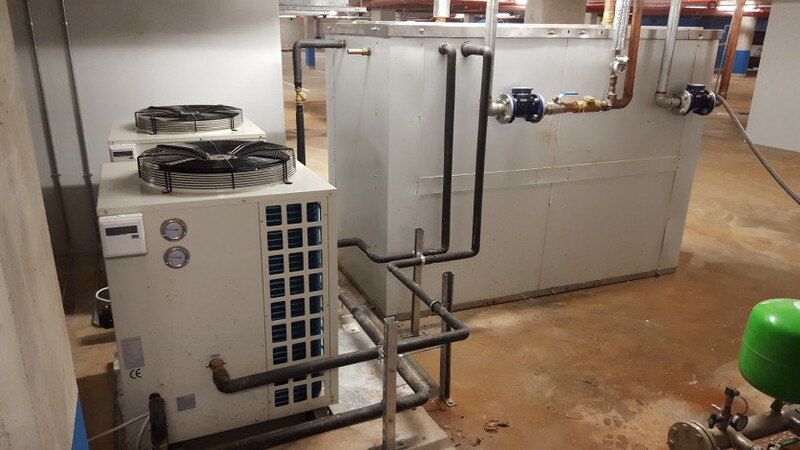 The owner secured the investment and used some of the money to set up the worlds first flat pack thermal store assembly. Over the past 4 years, Sirac has delivered and assembled over 500 thermal store systems heated by Sirac heat pumps from China, and recently also heated by solar thermal collectors. In 2019, we are now in early talks about adding my solar thermal cooling exchanger to the business, which would set us apart from the rest of the solar PV and thermal energy industry worldwide. We are also now seeking to licence the concept to other companies outside of Africa, with Europe as our first market to complete an agreement. 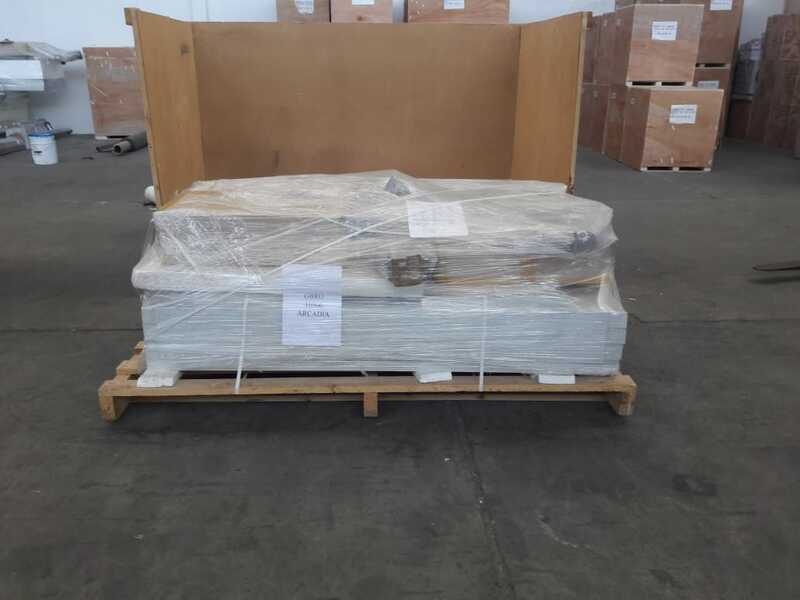 The shipping of all the component parts which completes a Thermocube Thermal Store on a flat bed lorry or into a container is more sustainable that shipping very heavy duty steel commercial hot water tanks full of air. 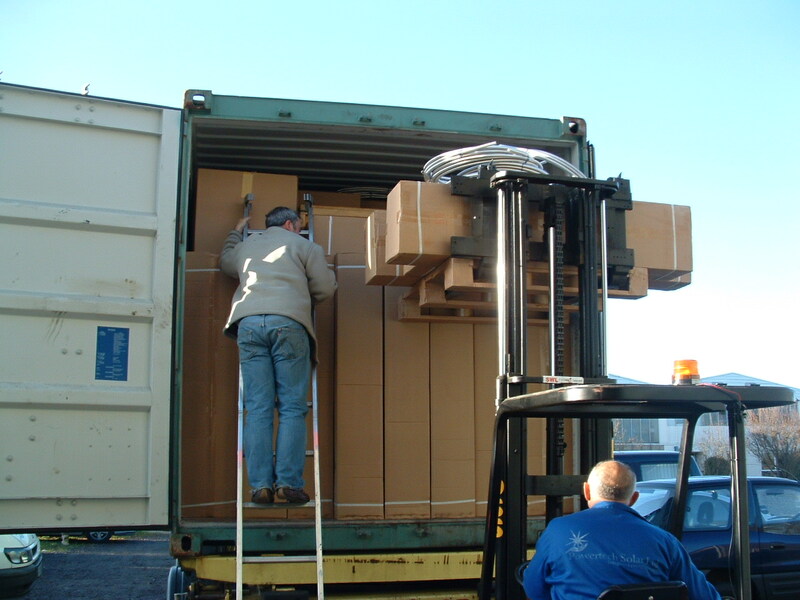 Once the pallet of components arrives at site, they can be handled without the need of a crane, or any other handling machine. All the parts can be walked through a standard door opening, without breaking down walls and rebuild them afterwards.